It's a beauty thing: A Weekend Special - What else happened in November? 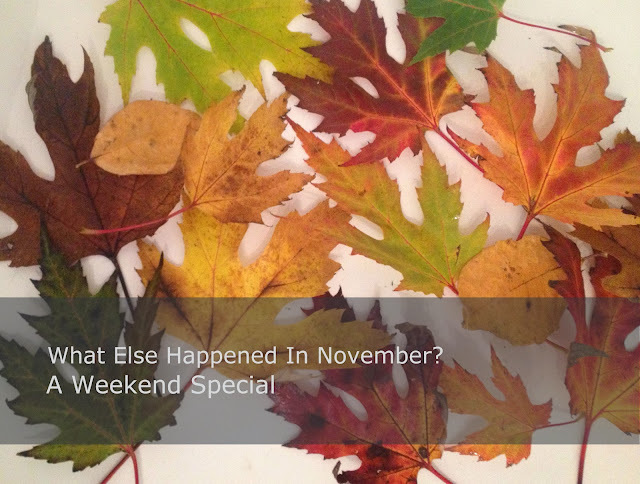 A Weekend Special - What else happened in November? Last month my What else happened in October post went down very well so I thought I would do one for November. November has been a fairly busy month. I have started a few new post series on my blog this month, including What's On My Face, Drugstore Recommendations as well as Top Picks and Weekly Loves. It has really encouraged me to switch up the products I have so I get a chance to use them all and I love finding those forgotten products that have been shoved into the back of the drawers which I can then rekindle my love for. November has also seen the release of the Playstation 4 so I have now lost my boyfriend for a few weeks until he gets bored with it, I love being second best. The Hunger Games Catching Fire film was also released but I still haven't managed to see it. It is top of my December to do list, after Christmas shopping, going to a garden centre and hobbling round a huge department store staring at all the pretty decorations and lights. Date nights have been fairly sparse recently as both myself and Dani have been very busy at work, but we have a few planned in December so hopefully those will happen. But the date night that was at the beginning of the month had a few products to test out, and we also watched the film Now You See Me - It was mind blowing. A few new purchases have been made this month as well. 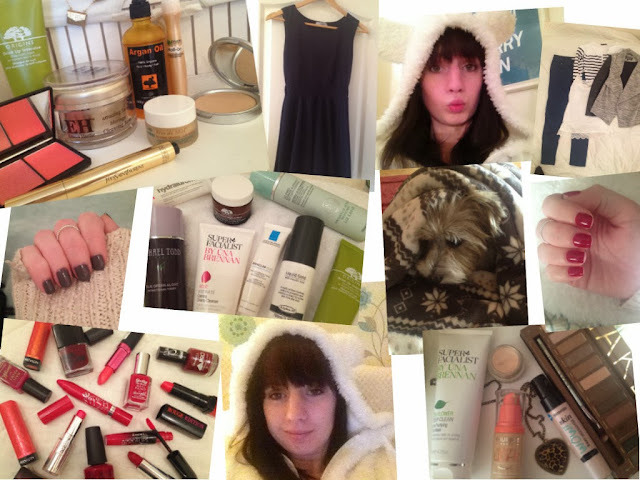 November saw the beautiful Onesie from Tesco that is the softest, comfiest, fluffiest, warmest onesie I have ever seen and worn. I love this thing, I put it on every night whilst I am blogging or whatever and it just keeps me so toasty, and for only £20 it is a perfect treat for yourself or as a Christmas present. There has also been some nail polishes that I have been loving, including O.P.I in Malaga Wine, and Ciate in Cookies and Cream, with some other autumn/winter inspired nail polishes. My first fashion post went up this month and received a very lovely welcome which I am so thankful for. Finally I couldn't leave out my beautiful pooch Darcy, she has got yet another soft fluffy blanket to wrap herself up in and even dogs can get in the festive mood. I am so looking forward to finishing my Christmas shopping (we all know I just can't turn down an opportunity to go shopping) and Christmas is only less than 4 weeks away. Very excited. I hope everyone has had a brilliant November and that December is just as good. What did you do in November?